Federal legislators introduce two bills in an attempt to provide the blockchain economy with regulatory certainty. US regulators and federal legislators may be heeding the calls of crypto-enthusiasts for legal clarity regarding the status of digital assets and cryptocurrencies (collectively, Tokens). Two weeks ago, the Securities and Exchange Commission (SEC) released an analytical framework for determining when a Token constitutes a security. 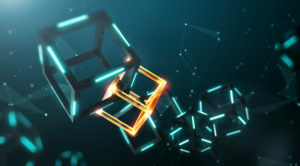 Last week, US federal legislators followed up by introducing two bills that are designed to “provide regulatory certainty for businesses, entrepreneurs, and regulators in the US’ blockchain economy,” the Token Taxonomy Act of 2019 (H.R. 2144) (TTA) and the Digital Taxonomy Act of 2019 (H.R. 2154) (DTA, and together with the TTA, the Bills). The new legislation may act as a catalyst for a crypto-evolution within Russian law. On 18 March 2019, the Russian legislator took the first step in introducing the Russian civil law system to the new universe of digital assets. The Russian Civil Code was amended to include concepts of digital right and smart contracts, and the legislator also recognized digital rights as an independent object of civil law regulation. By way of background, the Russian civil law system is based on laws rather than precedents, and — unless a particular concept is explicitly mentioned in the legislation — then the concept is non-existent for civil law regulation and falls outside any legal protection. Prior to these amendments to the Civil Code, digital assets or cryptocurrencies did not fall within any category of assets recognized by the Civil Code, and there was much uncertainty on how these digital asserts were regulated and how transactions with such assets should be structured. In one instance, a Russian court failed to recognize Bitcoin as an asset and, on those grounds, refused to include the Bitcoin in a debtor’s insolvency estate. UK publishes White Paper with hard-hitting regulatory proposals to tackle online harms. A new white paper explores jurisdictional conflicts and the regulatory status of digital assets. Members of the American Bar Association’s (ABA’s) Derivatives and Futures Law Committee recently published a white paper exploring the US regulatory landscape for digital assets (White Paper), including a 50-state survey and overview of certain non-US crypto regulatory regimes. The White Paper primarily focuses on the jurisdictional overlap between the US Commodity Futures Trading Commission (CFTC) and the US Securities and Exchange Commission (SEC) pertaining to the regulation of digital assets. Latham & Watkins lawyers previously discussed the intersection of CFTC and SEC regulatory jurisdiction in the crypto context here and here. The HKMA has issued three virtual banking licenses as part of its broader initiatives to develop the local banking industry. The Hong Kong Monetary Authority (HKMA) recently announced the issuance of the first virtual banking licenses to three entities. Virtual banks in Hong Kong are banks that primarily deliver retail banking services through the internet or other electronic channels, instead of through physical branches. The SFC’s guidance provides helpful clarity amidst growing interest in security token offerings. On 28 March 2019, the Hong Kong Securities and Futures Commission (SFC) issued a policy statement on security token offerings (STOs) summarizing the legal and regulatory requirements applicable to parties engaging in STOs. This guidance follows the SFC’s 5 September 2017 policy statement on initial coin offerings (ICOs). We are pleased to announce the launch of The Book of Jargon® – Cryptocurrency & Blockchain Technology, a comprehensive digital glossary of nearly 300 terms developed for the business, academic, and legal community. The easy-to-use reference tool demystifies the often complex legal and regulatory terminology, acronyms, and slang of the cryptocurrency and blockchain industry. International perspectives on regulatory developments impacting innovation in financial services. Approximately 100 financial institutions and emerging companies recently convened in London for a forum on regulatory developments and other considerations that will impact innovation in financial services this year. The Latham-sponsored event — “From Geek to Chic: The Rapid Evolution of Payments and Cryptocurrencies and the Potential of Digital Central Banking” — featured a series of panels led by digital finance industry leaders and Latham lawyers from around the world. Panelists discussed a range of topics, including investing in innovation, international perspectives on the crypto “state of play,” and 2019 market trends and predictions for the digital finance industry. See below for video highlights from the event. Industry leaders outline best practices for digital advice platforms at compliance seminar. Robo-advisers, or digital advice platforms, have rapidly become a standard part of financial services offerings. Virtually every incumbent retail brokerage firm either has established or is planning to establish a digital advice platform, joining the pure FinTech players who pioneered this market. This turn toward robo-advisers is being driven by the potential for cost efficiencies, as well as the desire to connect with younger investors, who often prefer an online interface.